Sunday in the day for big MTTs throughout the world of online poker, and this is certainly true at Americas Cardroom as well. Its Sunday Special tournament comes with a guarantee of $150,000 each and every week. This makes it the most lucrative “Sunday Major” tournament among all internet poker sites available to those located in the United States. The Sunday Special is scheduled for 3 p.m. ET every week. You can compete for the prize pool of at least $150K by registering for $200 + $15. Everyone starts with 10,000 chips, and the initial blind level is set at 20/40. These blinds increase every 15 minutes. 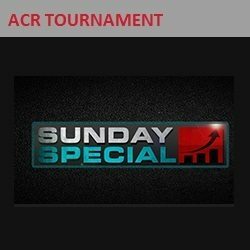 After reviewing its success with the Sunday Special, Americas Cardroom decided to offer a PLO version. The Sunday Special PLO runs every Sunday at 2 p.m. ET, costs $200 + $15 and guarantees $35,000. This pales in comparison to the money up for grabs with the NLHE version, but it’s still enough to make this the largest U.S. PLO Sunday Major event. Learn how to qualify for an Americas Cardroom welcome bonus when you create an account by perusing our Americas Cardroom bonus code review page. Not a member yet? Sign up to ACR here!